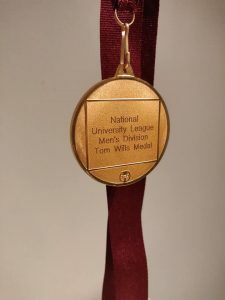 There was a hat-trick of awards for the University of Oxford’s Ben Doherty as he added the Tom Wills Medal and Grand Final Best on Ground to the Leading Goalkicker award at the end of the inaugural National University League season. 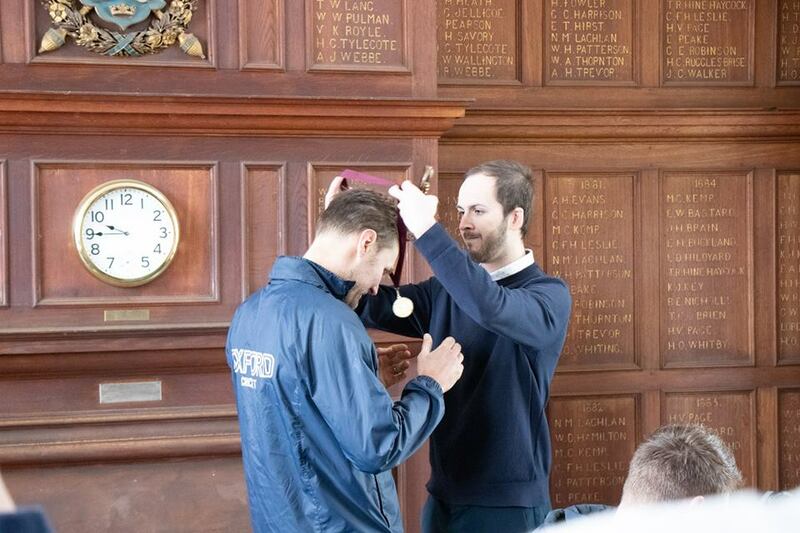 The 2019 Tom Wills Medal was presented to the player adjudged the best and fairest player during the National University League (NUL) regular season. 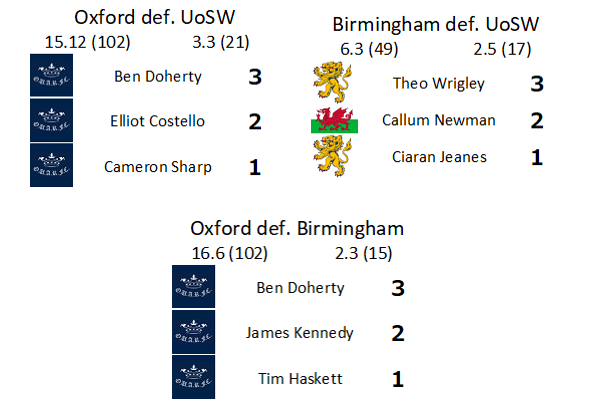 Doherty won the medal with 11 votes, polling maximum votes in three of his side’s six matches this season, beating the University of Birmingham’s Theo Wrigley (6 votes) into second place, the only player to poll in all three rounds he played in. Heading into the final round tied for the lead with three other players – all of whom would be playing in that round – Doherty secured maximum points from his final two matches to be crowned the league’s best and fairest. Since then, Doherty has a journeyman footballer’s career with spells at the Bendigo Diggers, Golden Square and Essendon’s reserves to name a few before drifting away from the game and into journalism. “I took a foreign correspondent posting in 2009 to Bangkok and then to New Delhi,” said Doherty, “So that, I thought, was the end of footy for me. Doherty is studying for a Masters in Refugee and Forced Migration Studies at Oxford, and didn’t take too much encouraging from some Australian friends to get him down to training. “Once I got there I was hooked. All the camaraderie came flooding back and most of the muscle memory of kicking and catching. I’ve spent most of my life in footy clubs, and this was such a welcoming group, it immediately felt like home. 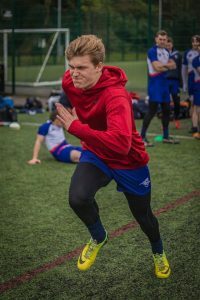 After kicking 29 goals during the regular season, including nine against the Universities of South Wales in Round 2, Doherty believes the National University League has been a great success in its first year. Doherty was named Best on Ground in the Men’s Division Grand Final. 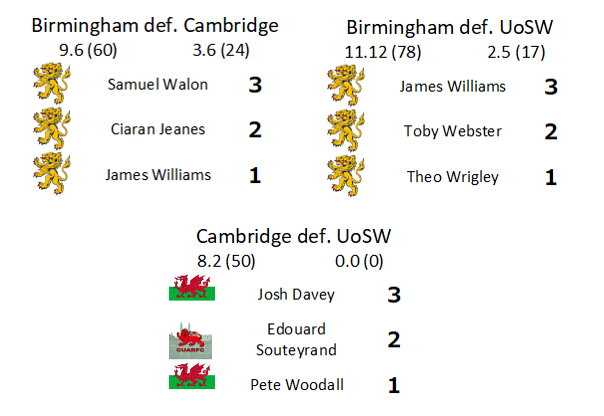 His side’s victory, defeating the University of Birmingham 17.12 (114) to 6.6 (42), was made even more special, with his wife and children watching on the sidelines. 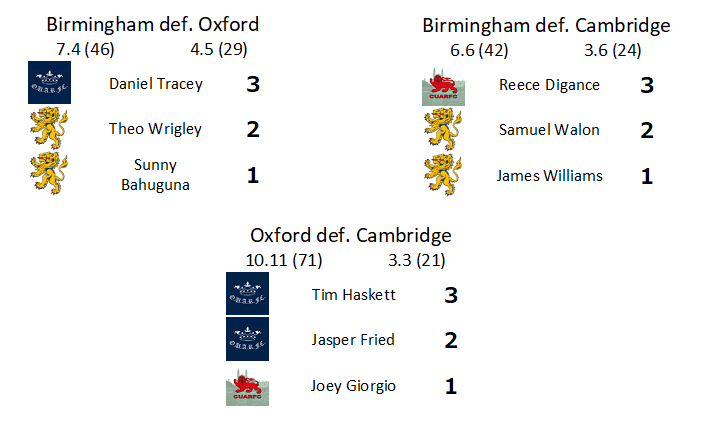 Finishing in second place was the University of Birmingham’s Theo Wrigley who kicked four goals in the final two rounds as his Birmingham said narrowly missed out going undefeated in the inaugural NUL season. Three players finished tied for third place, each with five points. 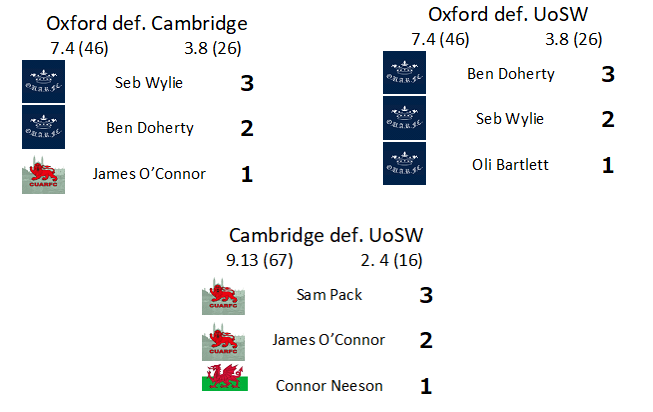 Seb Wylie polled maximum points in Round 2, scoring two goals as the University of Oxford saw off the University of Cambridge. 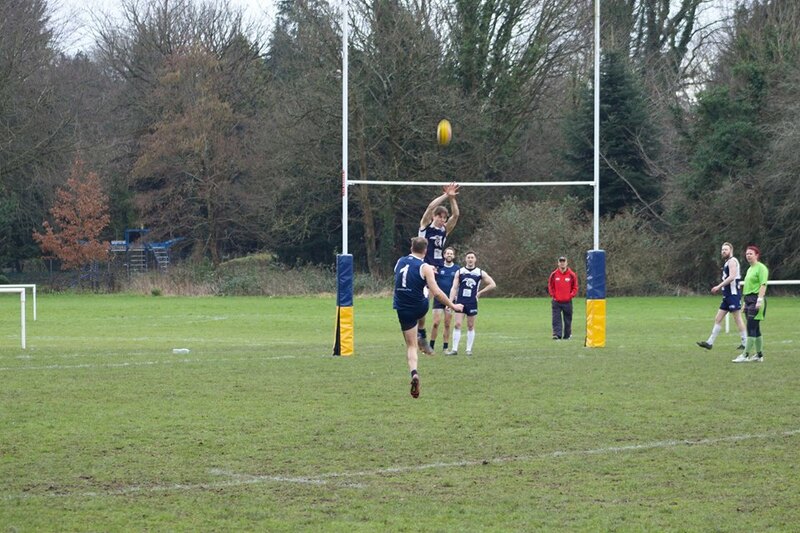 Samuel Walon (pictured) also polled maximum points in Round 3 as they defeated Cambridge. Walon’s impressive season has seen him earn call ups to both the Great Britain Bulldogs 2019 training squad, and the England squad for the 2019 Euro Cup in Sweden. Another upcoming Bulldog talent is James Williams, who finished kicked seven goals this season, good enough for third on the goal kicking charts.